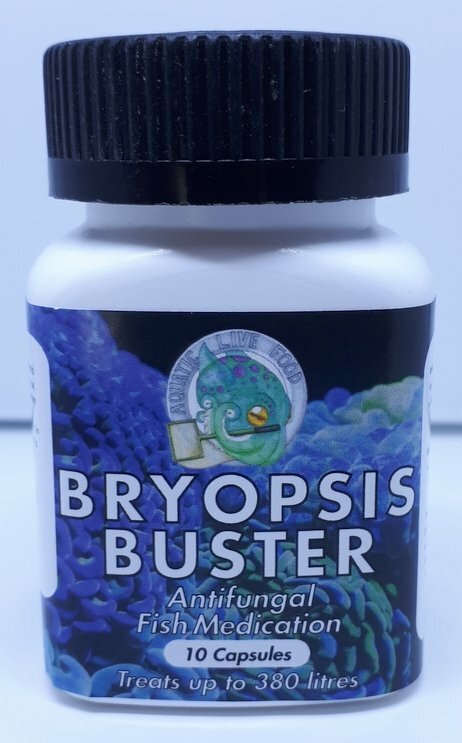 Bryopsis Buster is a Fluconazole treatment that is effective against certain fungal fish infections. It contains no fillers or additives. 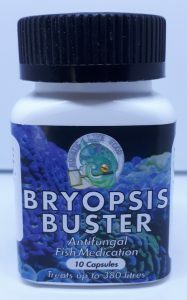 A notable side-effect of Fluconazole is that it is extremely detrimental to bryopsis algae. To avoid unintended nutrient spikes it should not be used in tanks with refugiums that have Macroalgae’s such as Caulerpa or Sea Lettuce. Note: Not effective against hair or other turf style algae. Directions: Turn off skimmer for first 3 days. Activated carbon and phosphate remover can be used after 3 days, but remove other chemical filtration. Empty 1 capsule for every 40 liters of tank water (20mg per 4L) into high flow area in the sump. After 14 days perform a minimum 30% water change. Do not overdose. Filter socks are recommended during treatment in order to help clean the aquarium. Only for use on ornamental aquariums and fish. Not for human use and not for treating fish intended for human consumption. Keep away from children and animals. In case of accidental overdose, contact a health professional immediately. 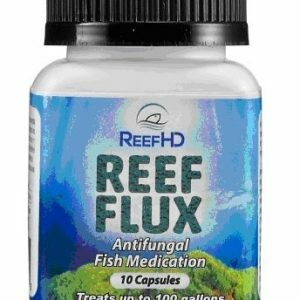 Active Ingredient: Aquarium Fluconazole 200mg per capsule.